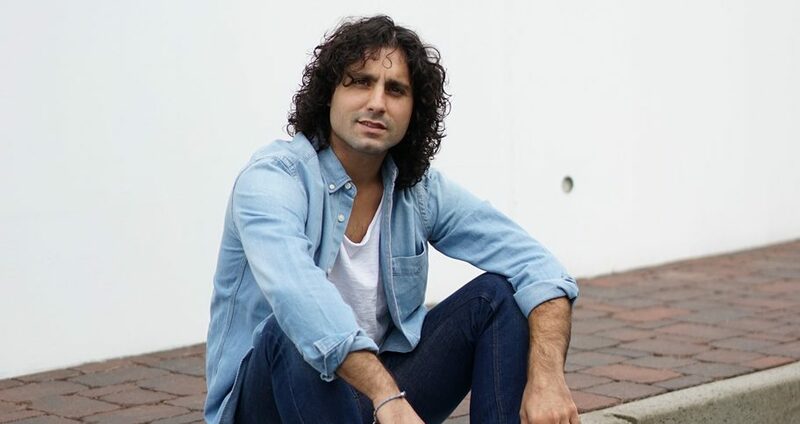 Giovanni Montalbano was the winner of the online vote wildcard, and thus he qualified for the first ever San Marino national selection for the Eurovision Song Contest. He is the only artist performing his song entirely in Italian in the Final, and his song is “Per quello che mi dai”. Hello Giovanni! First of all, thank you for taking your time out for talking to us. For the start of this interview, can you tell us how did you decide to enter the Sanmarinese selection, and how did this opportunity come? This opportunity has come thanks to someone who’s believed in me since day one. His name is Matteo Lo Valvo, one of the producers at NEXT3 Studio in Bergamo, who suggested me to take part to this selection to be San Marino’s representative. You spent some time in Vienna, working on your two songs. How did the whole thing go? It’s been a great experience to work with the lyrics of the songs that I presented in the show. It’s kind of natural for me since that’s what I’ve been doing since I was 16. To meet the other candidates was awesome, everyone is so different in all aspects so this is a great challenge for everybody. I’m happy with what I’ve done with my songs. Can you tell us a little bit about the songs you have prepared? The song I presented in the first show is called “Per quello che mi dai” (“Because of what you give to me”). It’s a ballad and I feel it is “mine” from start to finish. The song’s about the balance that only a woman can give to a man’s life, by just being next to him. So the song’s topic is love. The song for the second show was called “Immenso blu” (“Immense blue”), it’s in Italian too. It’s more of a pop-dance song, in which the “immense blue” of the night is the frame for a couple of dancers’ love. And in the final I am going to go with the song I presented in the first show. Ahead of the show, which of the jurors were you most looking forward to meeting? Every judge has his own story to tell so I can’t wait to meet them all and I really hope to impress them with my performances. What are your expectations at this show? It’s an important stage for me, I’m ready to face it with all of myself and what I’m expecting from the show is to make me and my music visible in order to finally make my personal project come alive. What would mean for you to represent San Marino in Eurovision? San Marino is located at the heart of my country, Italy. So to be their representative would be a big honor for me, I would be really proud to take those colors in Eurovision 2018. Thank you very much for your time Franklin, and we wish you the best of luck in the Final!